Last year I shared what I wore during my Christmas break in March, which was a #superfail – so this year I’m pretty pleased to be doing it ‘only’ 14 days after getting back. Indeed, like last year I didn’t do Christmas in London – I spent a week in my hometown in Spain to get some good old family comforts and slightly better weather. Dress, ASOS. Beret, Accessorize. Bag, Bershka. Shoes, Miss Selfridge. Earrings, can’t remember! Necklace, gift. 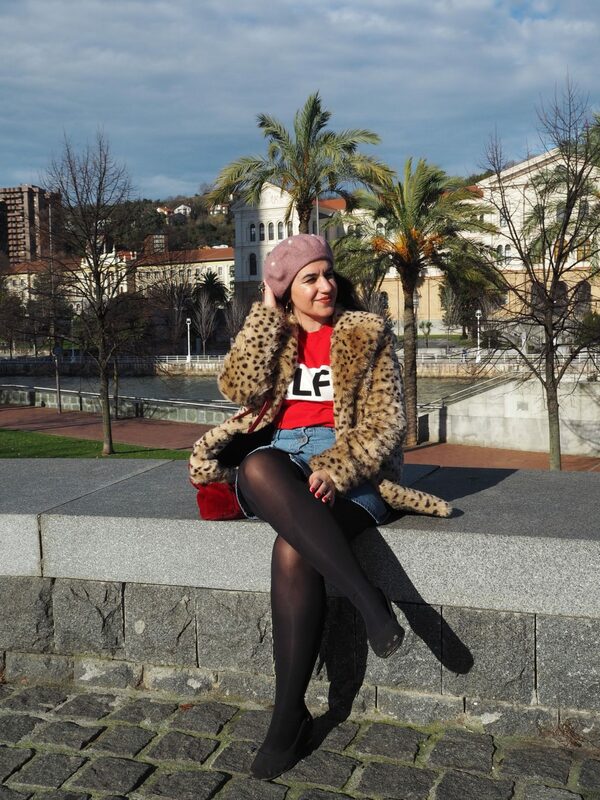 Look 1: Just to be clear, it’s not hot in Spain all year around – especially in the north, where I’m from! Having said that, it was overall really pleasant and totally OK to wear not really warm dresses like this one from ASOS. 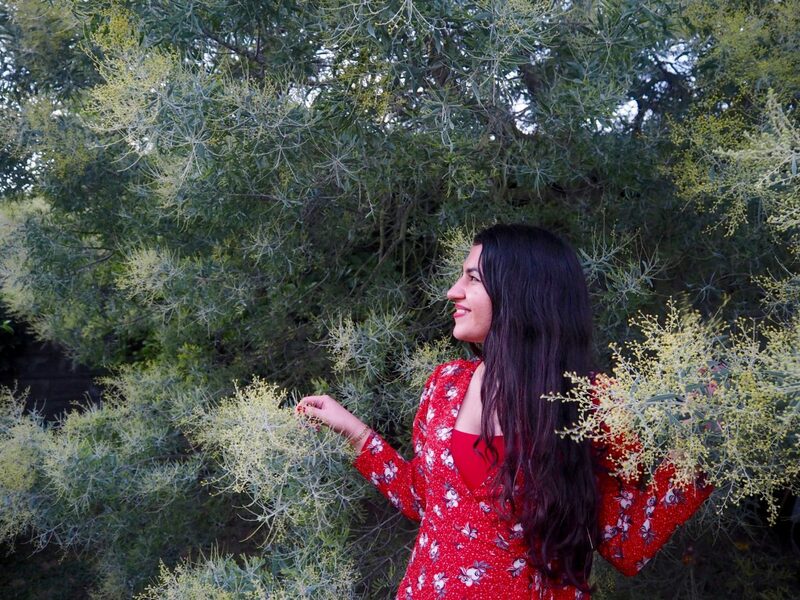 Which I love – outfit post coming soonish! Jumper, New Look. Skirt, Silvian Heach. Beret, Accessorize. Bag, Bershka. Shoes, Miss Selfridge. 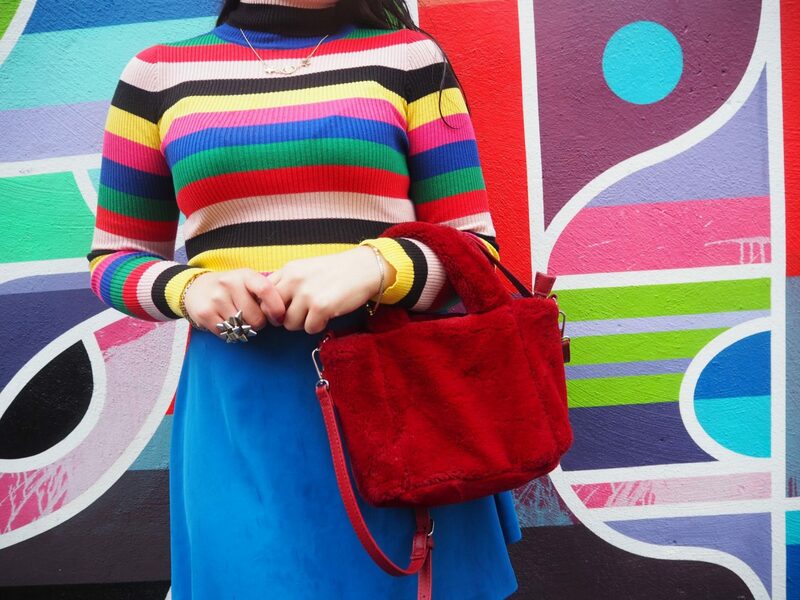 Look 2: Yes, this now infamous jumper that New Look brought out last year is probably one of the best jumpers I bought in 2017 – because come on, ‘Funday’ is so much better than ‘1970‘. 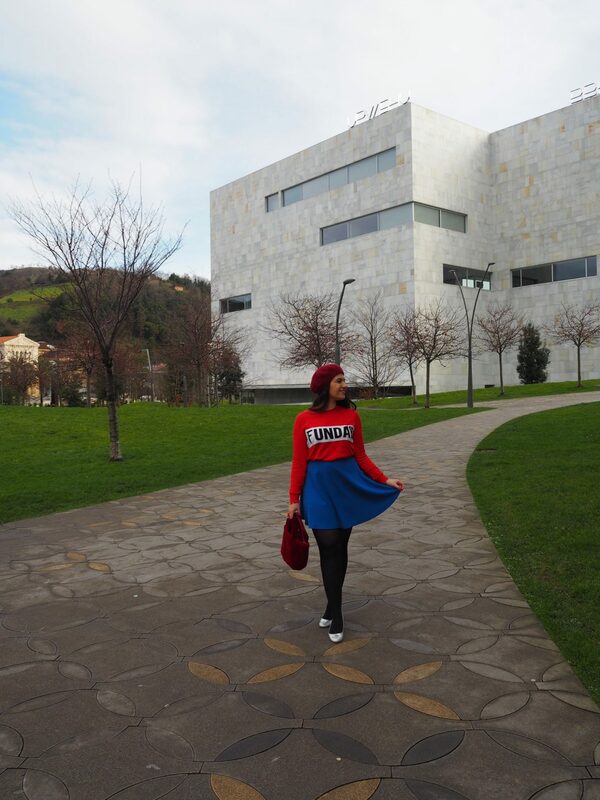 Wearing it makes me happy – and I love teaming that fabulous shade of red with a bright blue. It’s no surprise then that this was my favourite and probably most Instagrammed colour combination of 2017. 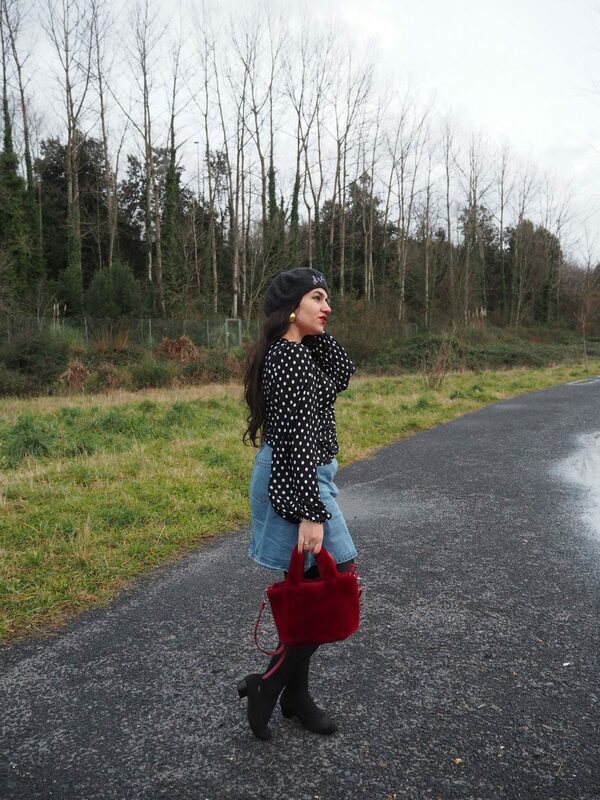 Top and beret, Topshop. Skirt, Noisy May. Earrings, vintage hand-me-down’s fro my mum. Necklace, Accessorize. Bag, Bershka. Shoes, borrowed from my mum. Jumper, Nasty Gal. Beret, Accessorize. Skirt, Silvian Heach. Bag, Bershka. Necklace, Desigual (SS’18). Ring, from Hong Kong. Shoes, borrowed from my mum. Look 4: Hell yeah! 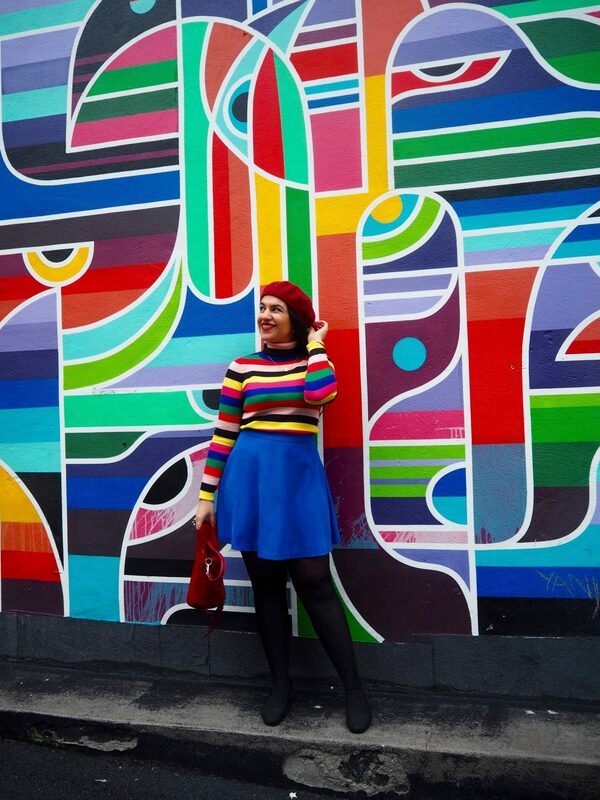 This is of course my favourite outfit of my trip back home – I found out about this wall via the magic of Instagram and knew it was the perfect match for my crazy beautiful jumper. 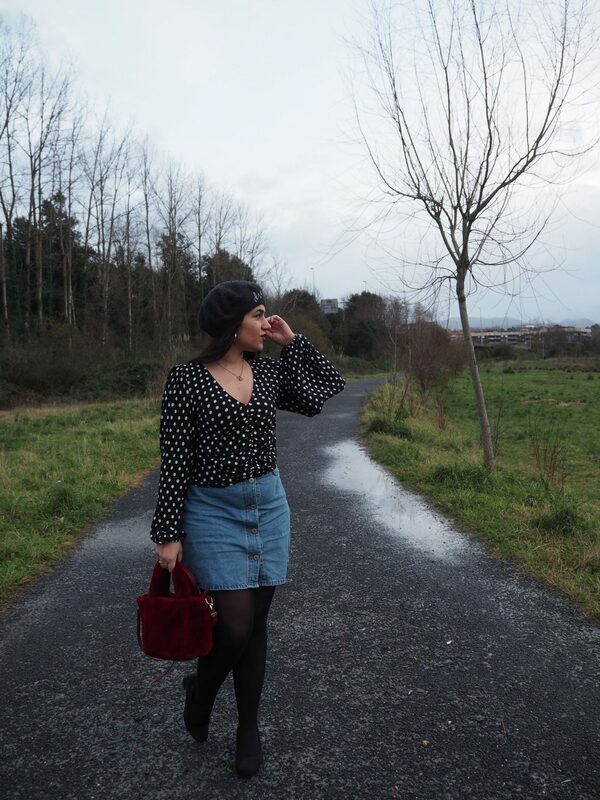 Shame that it was pouring rain that day (spot the rain drops on my skirt). Dress, Zara (worn with black Topshop vest). Cardigan and shoes, borrowed from my mum. Beanie hat, gift. Bag, Bershka. Look 5: I wasn’t 100% sure about this Zara dress but I decided not to return it and give it a chance. I’m still not sold on it but I am getting to like it more and more – it does get brownie points for looking good when there’s a gush of wind. Dress, River Island (worn with red Matalan vest). Shoes, Miss Selfridge. 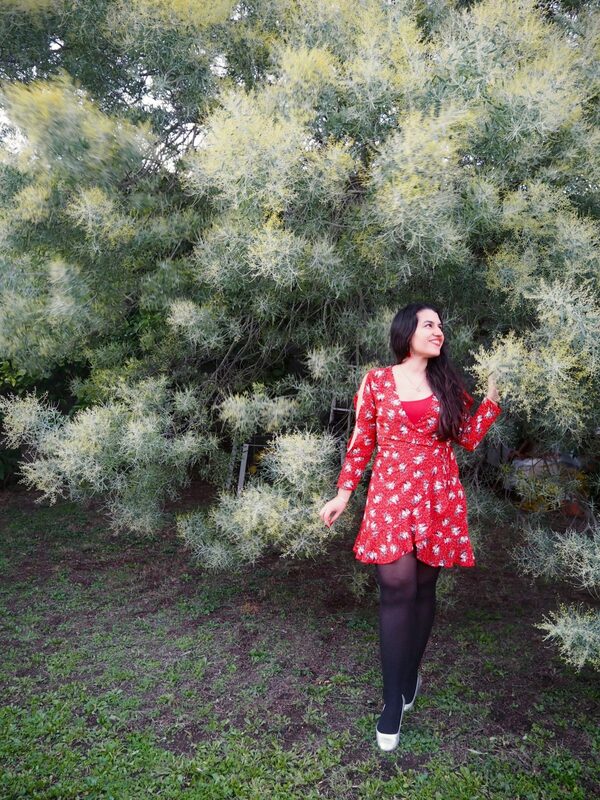 Look 6: Last year I discovered and fell in love with my family friends’ beautiful mimosa tree in their beautiful garden (see it in all its glory here). Funnily enough though it has started to bloom later and later every year, which means that sadly it wasn’t looking as striking as it did this time last year. Still, it was totally backdrop worthy for my red River Island dress, definitely one of my favourite dresses from 2017. Even though I can’t say I love it with black tights (well, there are very few things I like with black tights) it was nice to wear it again and not have to wait months and months for the weather in the UK to get slightly better. Jumper, New Look. Skirt, Noisy May. Coat and shoes, borrowed from my mum. 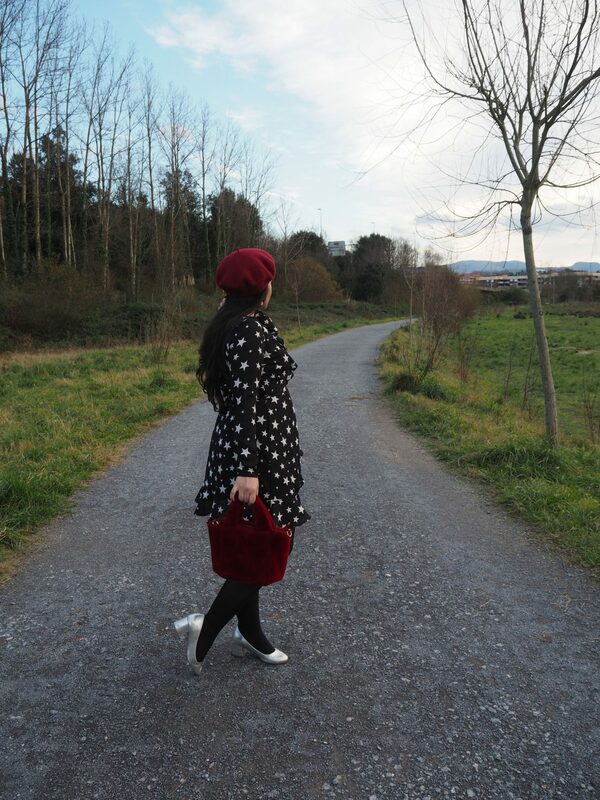 Beret, Stradivarius. Bag, Bershka. Earrings, ASOS. Ring, from Hong Kong. Look 7: I couldn’t resist getting this #Elfie jumper that New Look brought out – I know, I know, it’s exactly the same as my Funday jumper but if I’m ever unlucky enough to be in a situation in which I feel socially pressured to wear a Christmas jumper (I live in England, after all) I will feel pretty cool doing so in this piece. 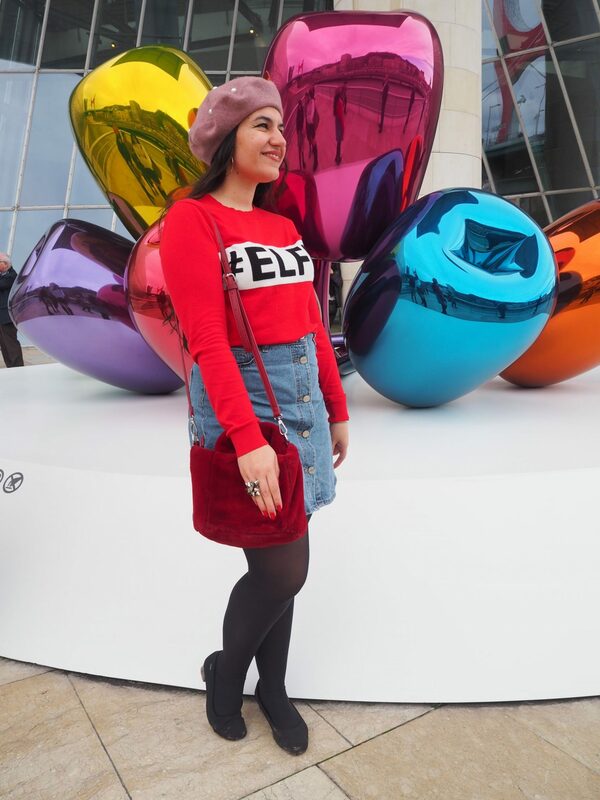 I went back home from the 24th to the 31st of December – it’s only hit me now that this post is a record of everything I wore during the last week of 2017! I think my outfits prove that my travelling habits classify as travelling light, or at least they do for a fashionista? I just can’t bother travelling with more than one handbag or even more than one pair of shoes. 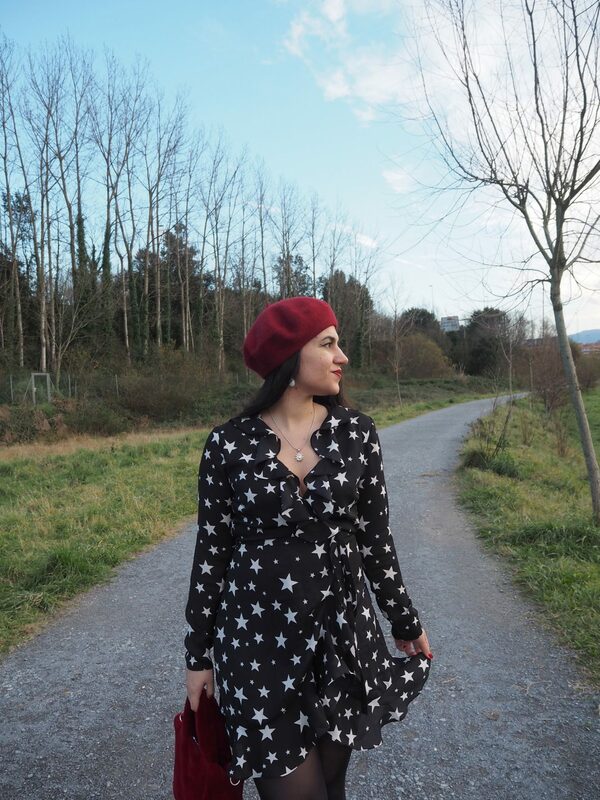 I’m also lucky that, despite having absolutely nothing in common fashion-wise with my mum, there are always a few things of hers that I can borrow and adapt to my style. Because as much as I’d love to travel with a few more pieces, nothing beats travelling light(ish). 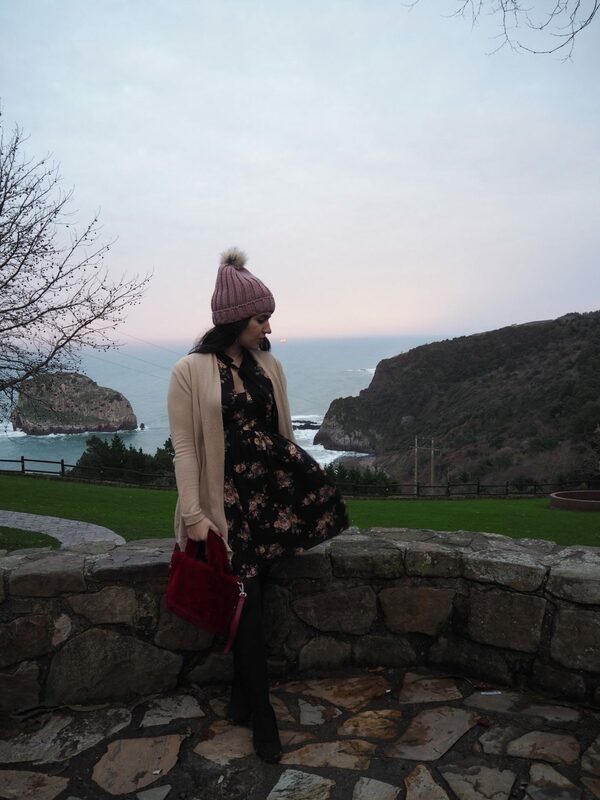 Pictures taken between December 24th and December 31st, 2017 in (and around) Bilbao, Spain.